This example itself clarifies how valuable light is in the life of every living organism – be it animals, humans or plants. 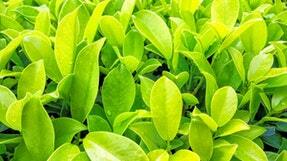 For plants, it is equally important as water, nutrients and the right amount of temperature. But, when we think of growing plants in a growbox or closed room, having access to natural light seems difficult. So, does that mean there is no equivalent, to natural lighting, for indoor growers? It is well-known fact that even the best fluorescent lamps cannot replace the lighting that is achieved from sun. But if we talk about the crops, they "do not think" about whether the lighting source above them is a daylight star or light bulb. However, the level of light should be optimal to achieve developmental targets because the better the lighting, the faster the growth will be. Are you thinking about the different types of lighting for growing plants? Let us have a look at the options. Sodium and metal halide lamps are most commonly used for growing indoor plants. These are abbreviated as HPS and MH. The main reason behind their popularity is that they provide extreme power, despite of raising your power bill. These lamps are sufficient for illuminating even a large area. They are available in different variants with power 70, 100, 150, 250, 400, 600 and 1000W. As far as the usability is concerned, Sodium lamps (HPS) are mainly used to provide light during the flowering phase of the crops whereas the metal halide lamps (MH) stimulate the vegetative growth of plants. Blue light produced by these lights helps in the formation of stalks & leaves, and to root the cuttings. 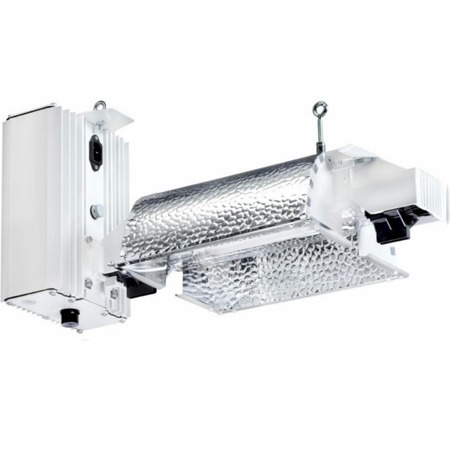 While using these lights, you need additional sources for ventilation of the room in which they are used because both these lights produce a lot of heat. Also, to get the best outcome while using these lights, you need to invest in adequate power supply and good quality reflectors that distribute the light evenly throughout the room. The most famous are the Gavita brand bulbs. For instance, Gavita Pro Classic is characterized amongst others, due to its professional wiring (which is rubber resistant to UV rays), sealed housing with a GORETEX plug, and very low heat emission & optimal cooling. If you are a beginner, who is just to try on his hands onto indoor gardening, then you should buy CFL lamps. They ensure perfect development conditions and do not require additional power supply because of being mounted in the lamp base. Moreover, they can be used on small surfaces. They are available for all versions – for growth and flowering. As compared to HPS bulbs, they have low power consumption and operating temperature. Nevertheless, it must be acknowledged that most often used lights are LEDs, which are also commonly found in horticulture. Few years ago, the role of LED lights was not speculated to be so huge, but now they are matched more and more by HPS models. They are gaining even more popularity because of the huge list of benefits that they offer, such as low energy consumption and low operating temperature. Now, the question arises that will LED technology dominate in the area of ​​plant growing lighting in a few years? Well, the answer seems quite obvious! Today’s sings of the popularity of LED lights is a proof in itself that this can surely be the case in the future. No matter you use MH, HPS, LED or CFL lamps, always remember that for a plant the source of light is more important than anything else. So, make a choice wisely!